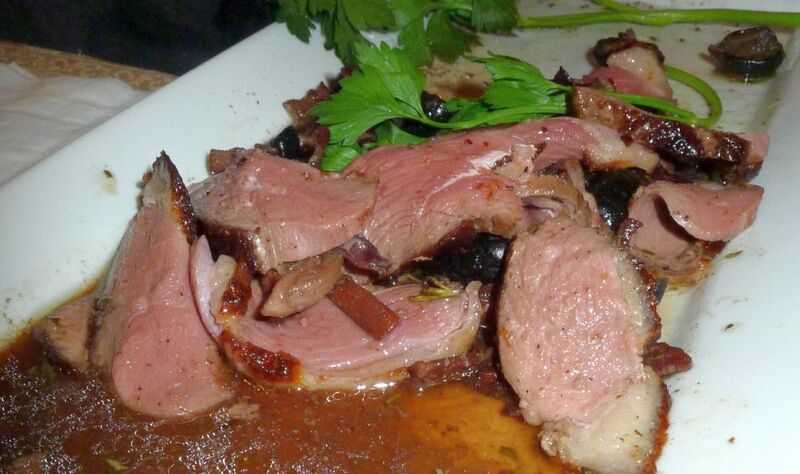 For this dish I choose to use Moulard Duck Breast. Moulard duck is a hybrid cross of female Peking and a male Muscovy duck. 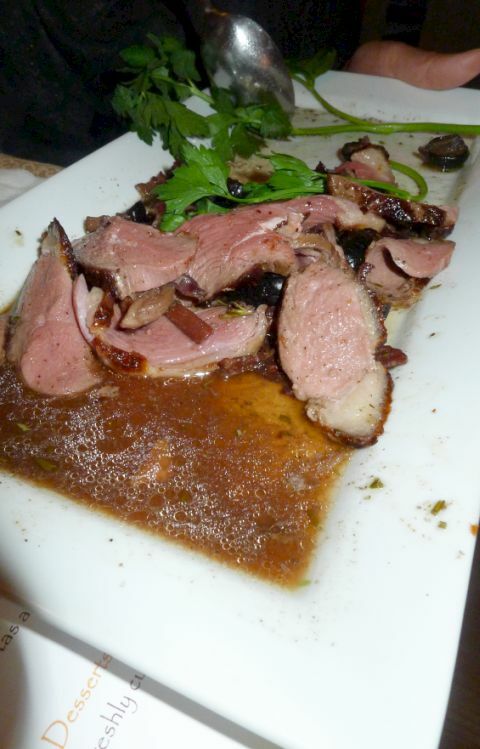 Moulard duck are used mainly for the production of foie gras! 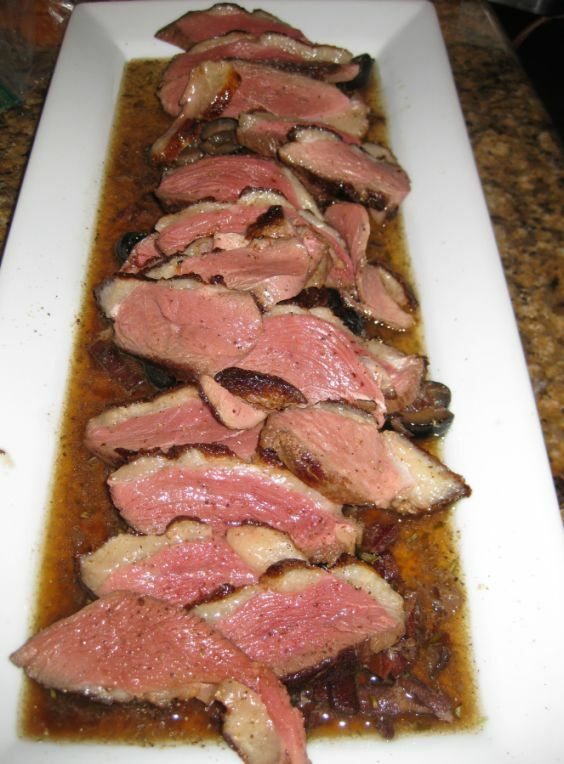 Beside Foie Gras, Moulard ducks are use for duck confit (duck leg poached in its own fat), duck rillettes (duck fat and shredded duck meat), pate, seared Magret duck breast and. 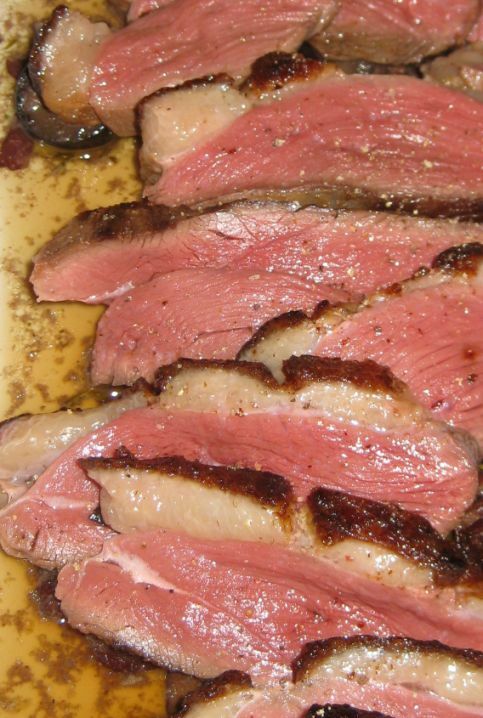 Each breast is at least double the size of a Peking duck so if you cannot find Moulard duck breast than replace it with Peking Duck but just double the recipe. I wanted to serve pan seared duck breast for dinner and I wanted a simple sauce that is wickedly good without having to go through the tedious process of boning, braising, and reducing. Here the breasts are pan seared to a perfect medium rate in minutes and the sauce is whipped up on the stovetop in about 10 minutes.! 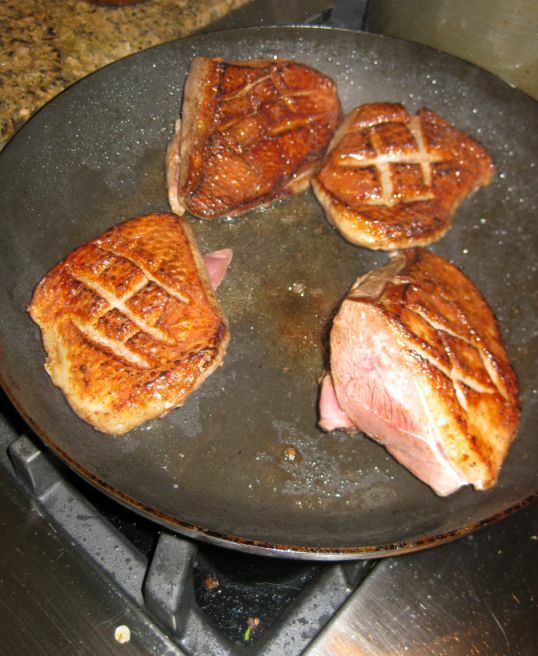 The duck breasts are perfectly cooked here: Medium rare! Simple sauce to go with but very delicious and so flavorful! 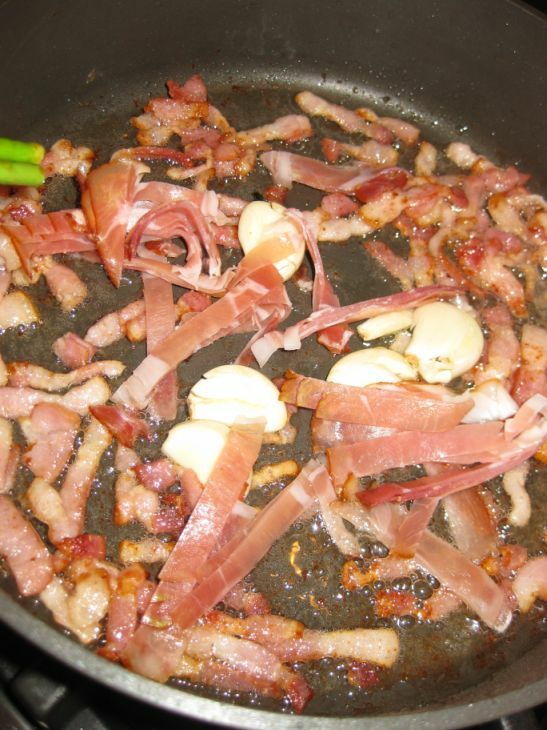 Cook the bacon in a large skillet over low heat. Stir often until the fat begins to render, about 6 minutes. Add the Prosciutto and garlic and stir until the garlic is golden brown and the meaty bits start to crisp, about 6 minutes more. 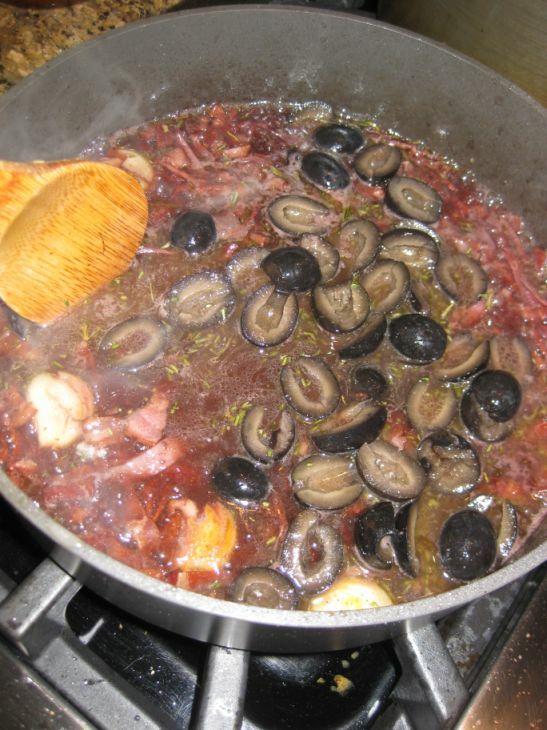 Stir in the Rosemary and thyme, pour in the stock and port (or red wine) and bring to a boil. The cupcakes are removed from the molds and then cool off. Cook for a minute and add the olives and remove the pan from the heat. Set aside. 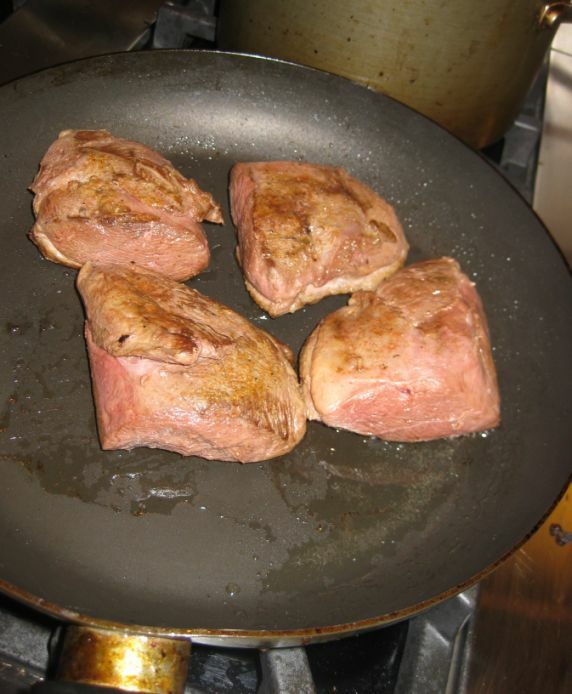 Moulard breasts are so big that I cut them into half. 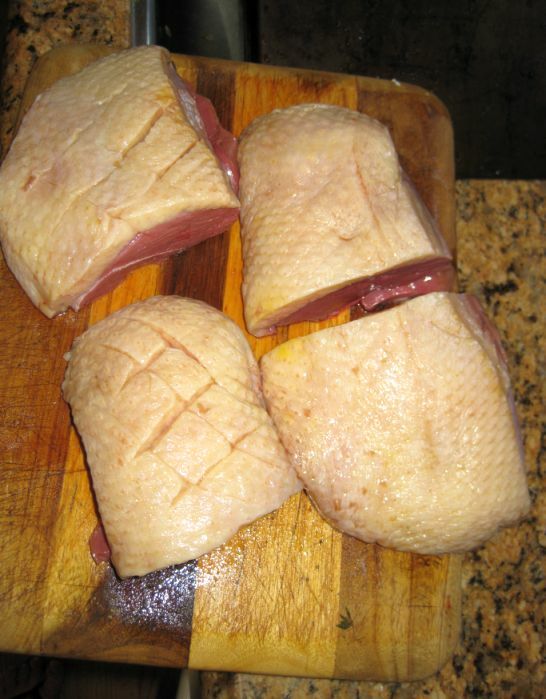 With a sharp knife score the skin of the duck breast in a crosshatch pattern, being mindful not to cut into the flesh. Pat dry and season with salt and pepper. 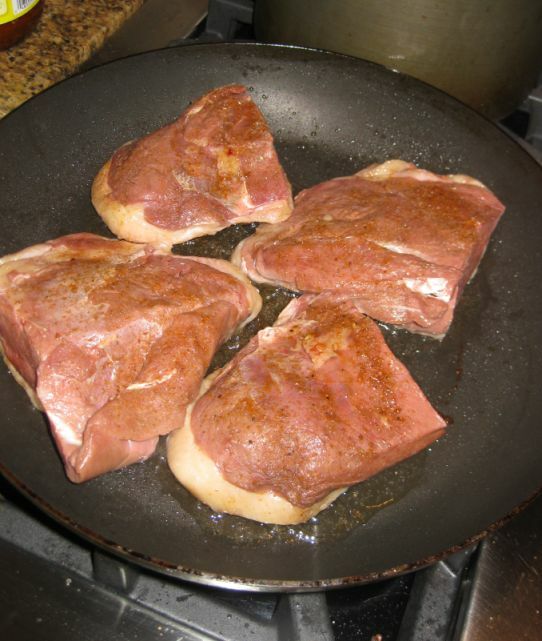 In a large skillet over medium heat add the breasts skin side down and sear until crispy, allowing the fat to render slowly. r Don't rush this process by turning the heat into high. It might take up to 5 to 8 minutes for the fat to render. Flip and sear the other side for a few minutes. Remove the meat on a cutting board and let it rest for a few minutes before cutting. 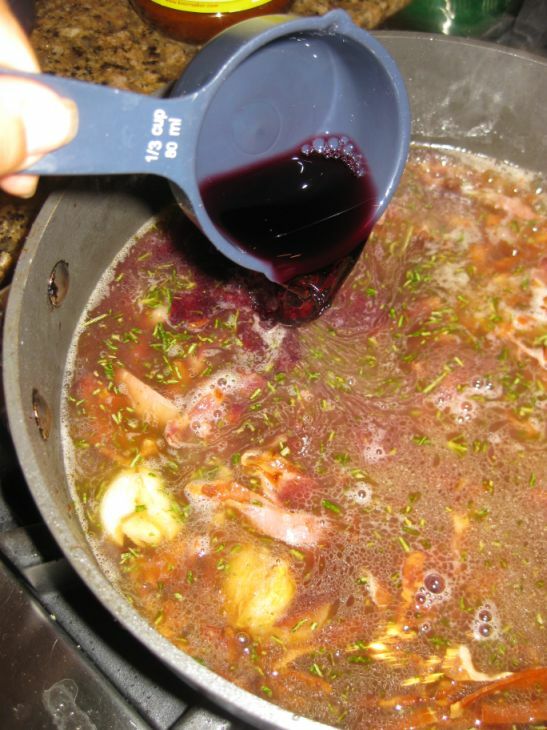 Reheat the sauce and serve it with the duck meat.